What does the P0603 code mean? The P0603 trouble code is triggered when there is an internal fault in the Keep Alive Memory Module (KAM), or the power/ground supply is faulty. When you are driving the vehicle, your engine control unit is getting information from a lot of sensors on the engine. The engine control unit is feeling how you are driving your car and optimizing the fuel and timing from it. The Keep Alive Memory Module (KAM) is used to store these parameters to optimize your fuel economy and other optimizations from your driving. The P0603 trouble code is a generic trouble code, and it does apply to all makes and models from 1996. If you disconnect a battery terminal and remove the power supply to the KAM memory, it will erase the KAM memory and the car will go into default mode without the optimizations again and it has to start over to learn it again. Every time you are starting your car, the engine control unit is trying to read the memory from the KAM. If it can’t read the memory for several times/tries, it will trigger the P0603 trouble code. If your car is getting P0603 your engine will run in default mode and not optimize/learn from your driving. Charging(Alternator system faulty) Charge your car battery and erase trouble codes. The most common fault of this trouble code is water intrusion that damage the ECM. There could also be a short in a wire into the engine control unit that has fried any internal parts inside the PCM/ECM. 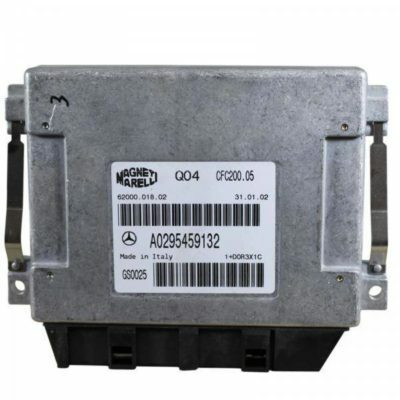 You should always check/measure all wirings before you are replacing your engine control unit, as if the short is still there, you could damage your new ECM/PCM also. Charge your car battery and erase trouble codes. This is a guide to how a professional automotive technician would troubleshoot this problem. It may require some skills about car electronics and you may require some tools, but it may help you out even if you have low knowledge of cars. Always connect a car battery charger when you are doing any diagnostics on your car. Low voltage may trigger other trouble codes and even damage control units. Visually inspect the battery terminal connectors and check if they are loose. Check the ground cable between battery and body. Clean if you see any corrosion/bad connection. Clean ground points and cleans the ECM connector. to your battery and make sure it is charging your battery. Let it charge for a while. Connect an OBD2 code scanner to your vehicle and verify the P0603 code. Erase the code and recycle the ignition. Check if the trouble code is coming back. Take a/some test drives to see if the problem is gone or the p0603 keeps coming back. If the problem still occurs, continue the troubleshooting.
. Replace any damaged fuses. Unplug the ECM / PCM connector and get a pinout schema of the ECM connector. Measure that you got 12 volts on all power supplies and verify that the ground pins at OK. Check for any short circuits. Open the engine control unit and check for any visual damages/water infiltration. If all power supplies, ground wires, battery/alternator voltage tests are okay and you can’t find any short circuits, it may be an internal fault in the Engine Control unit. You could either let an electronic expert take a look at the engine control unit or replace ECM/PCM. 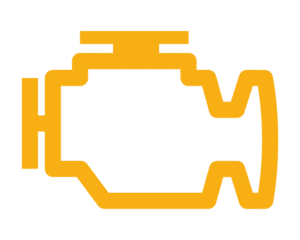 Note: In newer cars, there is usually an immobilizer integrated into the ECM and you can’t replace it without programming. Some Engine control modules can only be programmed once to a car. If you buy a used control unit, you may not program it twice. However, some small workshops have tools to reflash those but it requires some extra work. Buying a new engine control unit is always the simplest choice. The old parameters should always be read from the old control unit before installing the new one. These tools are from Amazon and are recommended for a proper diagnose of your vehicle. OBD2 code scanner to read the trouble code memory. To reprogram the new ECU, you need a more advanced OBD2 scan tool. while doing any work on your vehicle. is required to measure the power supplies and ground wires and it will make the troubleshooting a lot easier. If you have any other questions about the P0603 code, comment down below and I will answer your questions as fast as possible. We answer all other car questions at our homepage.